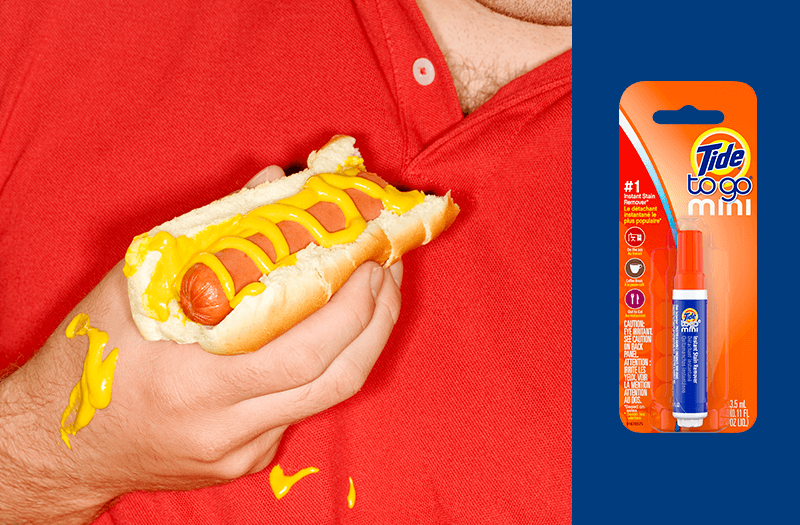 Game day spills can put a real stop to the action when you’re hosting. 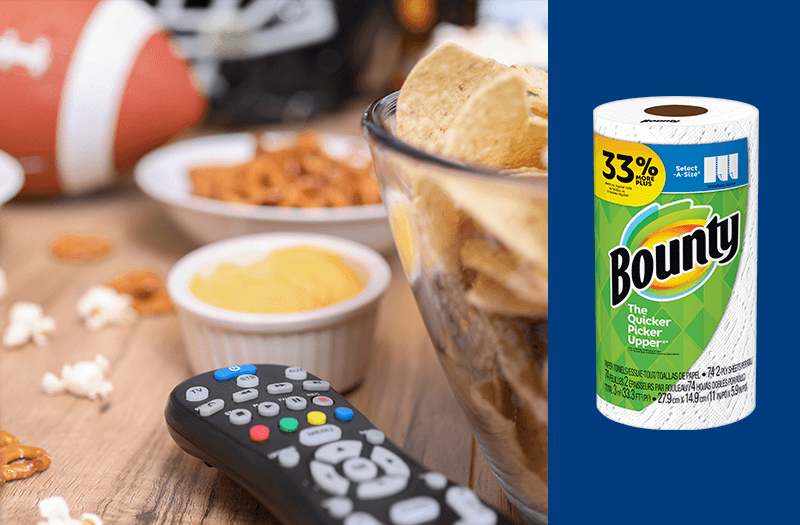 Keep at least one roll of Bounty Paper Towels stashed in each room where your guests will be. That way you can act fast and wipe up spills right when they happen. When guests show up with room temperature beverages, try this handy Bounty hack for quickly chilling drinks. Wrap cans or beverages in a soaked Bounty Paper Towel and toss in the freezer for 10 to 15 minutes. Set a timer on your phone so you won’t forget to remove them! Sure, Tide PODS have built-in stain removers to help treat stains from buffalo and BBQ sauce, queso dip, etc. But did you know Tide PODS also have built-in color protection? Wash team jerseys with Tide PODS for colors that help you stand out during each snap. In football, a pile-on after a tackle can be a penalty. But, when using Tide PODS, a pile-on is exactly what you want! First, throw Tide PODS into the drum and then pile your laundry on top. This ensures you get the maximum cleaning power of the PODS when you tackle your next load. 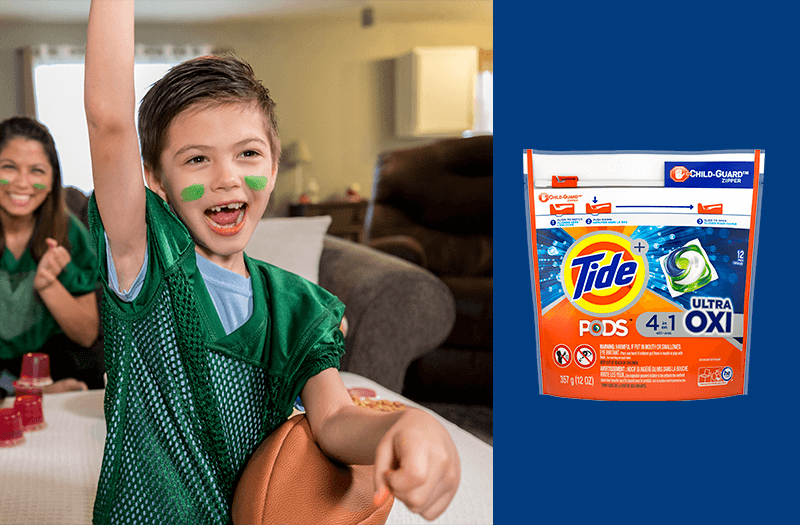 For a two-point conversion on laundry day, pre-treat stains with a Tide To Go Pen and then use Tide PODS with Ultra OXI stain fighters. This one-two punch will put stains in their place! 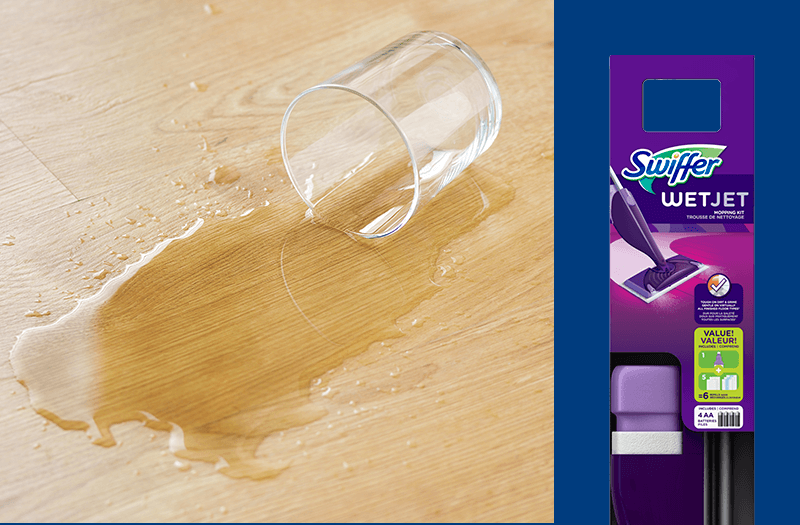 Spills can disrupt any game day celebration. Keep rooms stocked with a roll of Bounty Paper Towels for counters and surfaces and a Swiffer WetJet for spills on hard floors. Cleanup can be easy breezy whenever you host with a game plan for cleanup. When hosting a party for the game, a fully stocked bathroom is just as essential as a spread of food and drinks. Sure, extra rolls of Charmin are a good idea, but you’ll also want to put out products like Febreze and a Tide To Go Mini Pen so guests can ensure a little smell or stain won’t put a stop to their fun. Make halftime your moment to refresh. 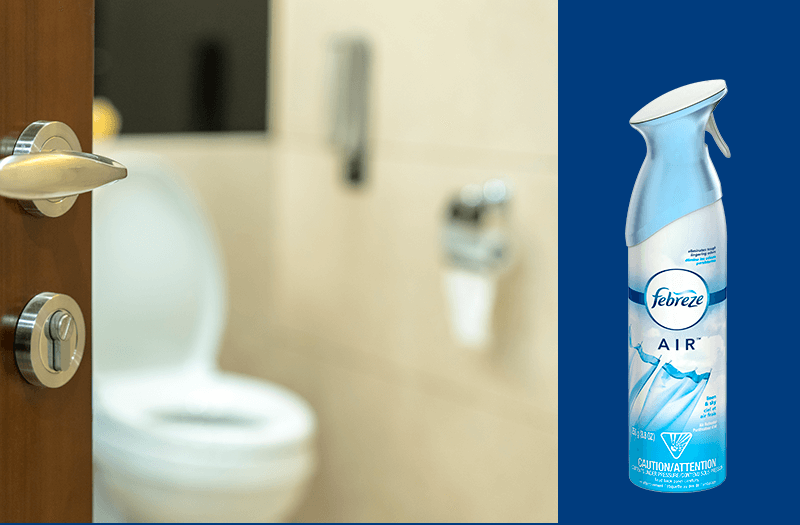 Refresh the air in your kitchen, living room and bathroom spaces by spraying a little Febreze. Your game day guests will thank you for it!